Complete Inlay replication and restoration, awaiting the final finishing! Our start in the business began with period antique restoration. 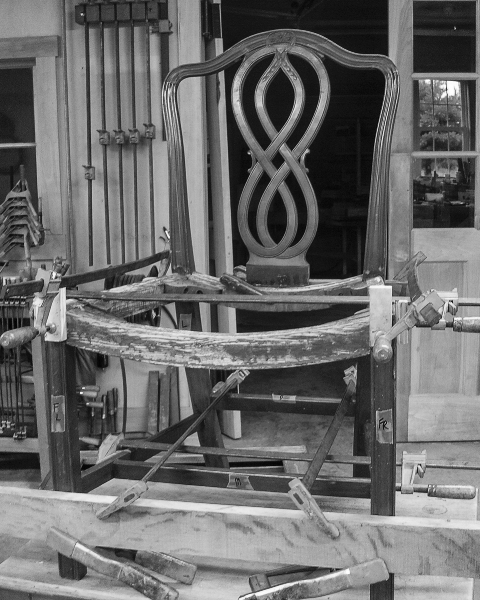 Our approach to structural repairs on antique furniture frequently involves period joinery techniques and the use of old wood and veneers from salvaged antiques. Finishes range from traditional shellac as well as lacquered modern catalyzed varnishes. As near perfect grain and color match is always a priority. A brief look at the complete and detail restoration of an antique sideboard furniture piece. The badly damaged front leg of this sideboard has just received a new scarfed in section of mahogany.